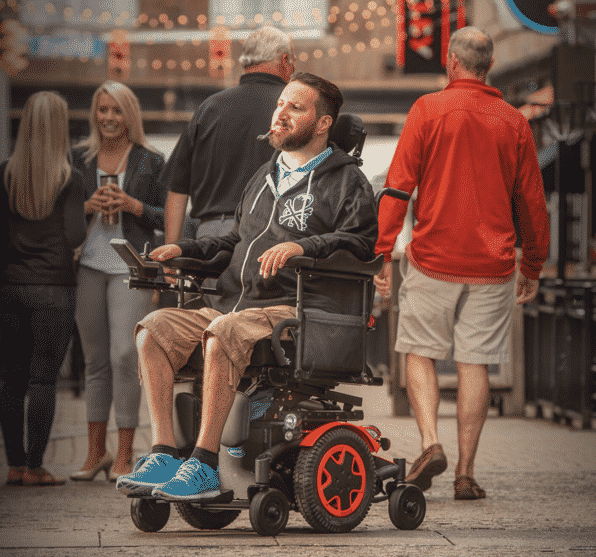 Featuring revolutionary Ultra Low Maxx and LiNX technologies, the TDX SP2 Power Wheelchair is the perfect mix of functionality, customization and style that adapts to your body, needs and desired lifestyle. Boasting unrivaled comfort, drive performance and maneuverability, the TDX SP2 Power Wheelchair is the power wheelchair that redefines rehab. LiNX has the ability to analyze and react to differences between what should be happening and what is actually happening as you drive. OPTIMIZED PERFORMANCE LiNX understands that wear and tear alters how your chair drives, which is why Adaptive Load Compensation (ALC) interprets, learns and adapts to these changes, ensuring an optimized driving experience over the lifetime of the chair. Want an ADVANCED POSITIONING System? We’ve paired the TDX SP2 Power Wheelchair base’s superior performance with an industry leading function and reliability of the Motion Concepts Ultra Low Maxx Power Positioning System. The Ultra Low Maxx System boasts a thoughtful recline design that replicates the body’s natural pivots to provide a full recline motion that greatly reduces the amount of harmful shear forces in the system. Sometimes a small adjustment can go a long way. The Ultra Low Maxx System helps enable easy adjustment of common dimensions such as seat depth, system center of gravity, back height, arm width (adjustable width recline cantilever arms) and lower leg length. Center mount articulating foot platforms provide a full range of elevation while greatly reducing the overall footprint of the power wheelchair. The industry leading LNX legrests also work with the natural pivot points at the knee to provide a smooth, natural, virtually silent repositioning of the legs. As lightweight as titanium but stays within your budget. A full frame custom aluminum chair that can go from city to country effortlessly. Just like your favorite pair of jeans! HCPCS code is K0005. The Invacare® Top End® Terminator® Everyday Wheelchair is a full frame chair option that is ideal for extremely active or rugged lifestyles. If you want a super customized aluminum chair that stays on budget, this is the chair for you. 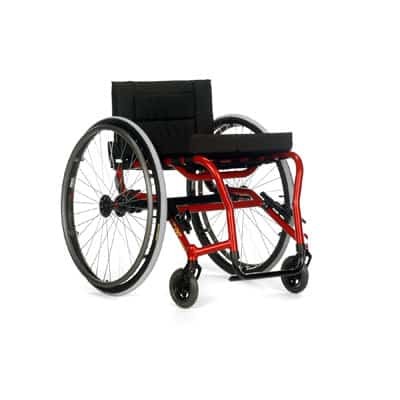 If you need a heavy-duty chair you will not have to sacrifice either -the Terminator wheelchair combines great design with the strongest and lightest materials to give you a super chair that fits perfectly and delivers everyday performance. Built for you- exactly the way you want it. Built to your specifications, the Terminator wheelchair offers your choice of seat heights, wheels, arm styles and footrests. The chair comes standard with a 250 lb. weight capacity and offers a heavy duty option that will hold up to 350 lb. Because it is tailored to your needs, the Terminator wheelchair comes ready to roll, with no need for cumbersome adjustments. If you are looking for value and performance, the Terminator Everyday wheelchair should be your top choice, just ask any of our Team Invacare athletes. 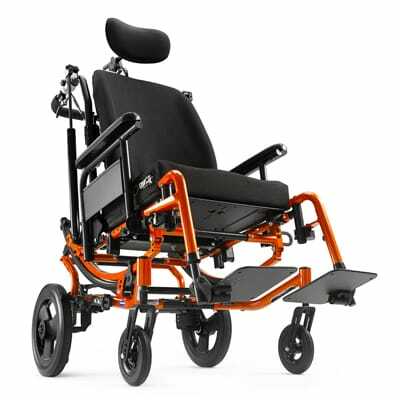 Custom 6061T6 aluminum rigid frame with tapered or V-style front frame, tapered seat width, fixed seat heights and fixed or folding back. Smart adjustability: adjustable tension back and seat upholstery, center of gravity, backrest height and footrest. High push to lock or undermount wheel locks – 3", 4", 5" or 6" front casters. 22", 24", 25" or 26" high performance rear wheels equipped with high pressure clincher tires and anodized handrims.